Entreaty from the Land of Icons: No Corporate Logos in Runyon Canyon Park! NPQ has written a lot about the “naming” of things for fundraising purposes, but there are real questions about the appropriateness of naming a public facility after a corporation. And that does not even take into account the sensibilities and environmental objections present in this case. 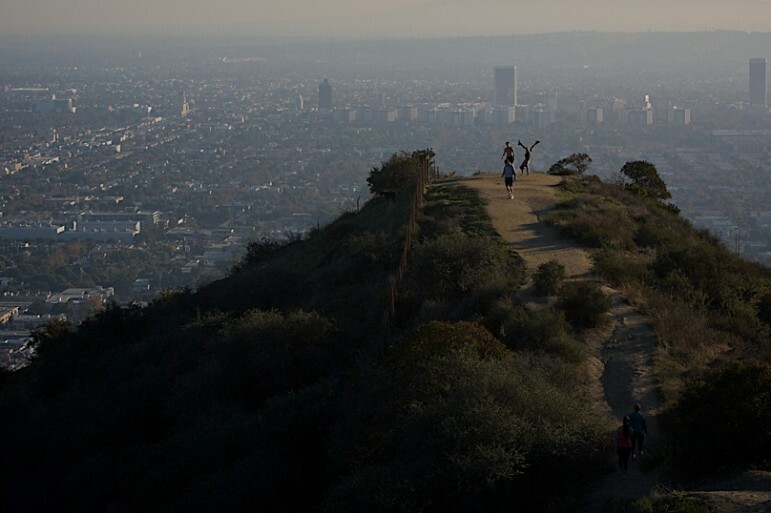 Those who make regular use of Runyon Canyon, a popular rustic park in Los Angeles with an astounding view, are not wild about the idea of corporate branding along the trails used by joggers, dogs, and families to get away from all of that. The California Department of Parks and Recreation has forged a partnership with Pink+Dolphin, only announced after the fact, which will fund an “expensive and much-needed” retaining wall, along with a logo-bearing basketball court halfway up the trail. This will cost a total of $252,708, but the company will be responsible for maintenance of those facilities for the next ten years. Another company, AQUAhydrate, whose owners in true L.A. fashion include Ron Burkle, Mark Wahlberg, and Sean “Diddy” Combs, is scheduled to provide a branded water fountain for people and their canine pals. The issue created a packed-to-overflowing Hollywood Hills West Neighborhood Council meeting on Monday night. Some waited for two hours to testify to their concerns, which included a lack of public input and no environmental impact review or sound tests. According to the L.A. Times, City Councilman David Ryu said irate nature lovers had threatened him before the meeting. “We should have had more solicitation and sought out input from the community. Should’ve, could’ve, but we didn’t,” he said—adding that most of the decisions were made before he took office. The neighborhood council eventually voted unanimously to pass a motion opposing the branding, etc.